Founded in the year 1978 by Alec Engelstein, Engle Homes Inc is one of the largest home builders in the United States and with its operations in Florida, Colorado, Virginia, North Carolina, Georgia and Texas. 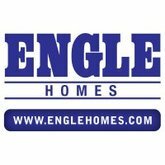 Engle Homes specializes in the designing, construction, marketing and selling of single family homes, town houses, condominiums, and patio houses. It has two subsidiaries, the Universal land Title and the Preferred Home Mortgage Company, which offer financial services to the buyers. Engle Homes is a fully owned subsidiary of the Technical Olympic USA. Its corporate offices are in Jacksonville Florida. There are currently 0 consumer reviews about Engle Homes available. Share your review. Please take a note that you are about to post a public review about Engle Homes corporate office on CorporateOffice.com. This review will be public, so please do not post any of your personal information on this website. If you would like to contact the corporate offices of Engle Homes, please use their contact information such as their phone number, website, and address listed above to contact them. However, sometimes staff from Engle Homes headquarters do read the reviews on this website.